Dissolution has a lot of different names. 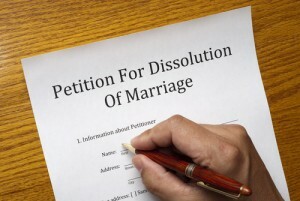 Legally, it is called dissolution, but it is sometimes referred to as amicable divorce, no-fault divorce, uncontested divorce, quickie divorce, fast divorce, agreed divorce, dissolutionment, and disillusionment, just to name a few. You need to agree on everything before you file – everything. To get an idea regarding all the issues you have to agree upon, take a look at this worksheet called ” Terms of Dissolution“. 3. When you file a dissolution, you need to wait at least 30 days from when you file to have your final hearing, except when your agreement was negotiated through collaborative law. Depending on the professionals you are working with, and whether they insist you bring in numerous other professionals into the mix, Collaborative law can save money or it can be expensive. Ask questions and do the math – it might be worth waiting the 30 days unless you are in a big hurry for some reason. 4. If you have children, your local court will probably require you to attend a parenting seminar . If so, the seminar must be completed and your certificate of completion must be filed with the court on or before the date of your final hearing. 5. There is a lot of paperwork involved, especially if you have children. Plan on chasing down the details and being patient with the process. 6. Even if you drafted your own paperwork, it might be a good idea to go over the paperwork with an attorney to make sure you understand what the paperwork means. You will have to live with it for a long time, and it is not as easy to get it changed as you might think. 7. If you do not want to go to the court house for your dissolution hearing, your attorney can have a visiting judge come to his/her office. The fee for the judge to do this is about $150 (but is set by the judge and can change at any time). Some counties are more resistant to allowing the parties to use a private judge than others. 8. In a dissolution, the document that you use to describe how you are agreeing to settle your affairs is called a “Separation Agreement”. Signing a Separation Agreement does NOT mean you are getting a legal separation, it is just the name of the document you are signing. 9. 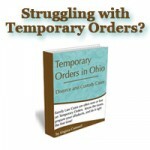 The Supreme Court of Ohio has published some forms that make it easier for people to end their marriage by dissolution without an attorney. People who do this assume the risk that they have thought of everything, and should plan to live with the paperwork AS-IS, because it is very, very, very hard, nearly impossible, to change the terms of the agreement after the dissolution becomes final. However, as long as you understand what you are doing, the forms are more available than they used to be. Most of the forms needed can be found by clicking this link. 10. The Law Offices of Virginia C. Cornwell helps people with dissolutions in numerous ways. Some people have a complete agreement and want a flat fee dissolution. Prices for flat fee dissolutions can be found on our FAQ page. Some people have not reached dissolution, but after meeting for a consultation, the attorney believes that an agreement could be reached through negotiation, and so they retain us to negotiate on their behalf to work toward a dissolution. Some people cannot afford a lawyer, and need to represent themselves, they just have no idea where to start. Those people have a consultation with us where the attorney gives them blank forms that they will need and talks to them about some of the more complicated issues in the forms. Dissolutions are not one size fits all!